A fun book. Maybe the 80's nostalgia was a little over-the-top, but I'm a geek at heart and came of age in that era, so I found the pop culture references entertaining. The audiobook narration by Wil Wheaton easily earns an additional star. Yawn. So-so thriller, poorly executed. I've tried [b:The Hunger Games|2767052|The Hunger Games (The Hunger Games #1)|Suzanne Collins|http://d202m5krfqbpi5.cloudfront.net/books/1358275334s/2767052.jpg|2792775], [b:Uglies|24770|Uglies (Uglies, #1)|Scott Westerfeld|http://d202m5krfqbpi5.cloudfront.net/books/1358962036s/24770.jpg|2895388], [b:Divergent|13335037|Divergent (Divergent, #1)|Veronica Roth|http://d202m5krfqbpi5.cloudfront.net/books/1328559506s/13335037.jpg|13155899], and now [b:Delirium|11614718|Delirium (Delirium, #1)|Lauren Oliver|http://d202m5krfqbpi5.cloudfront.net/books/1327890411s/11614718.jpg|10342808]. I think it's safe to conclude that dystopian YA fiction is not really my thing. So far, so good.... 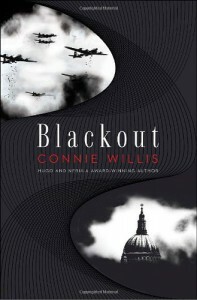 I'll review when I've finished [b:All Clear|7519231|All Clear|Connie Willis|http://d202m5krfqbpi5.cloudfront.net/books/1320549311s/7519231.jpg|9735628]. The Painted Veil is a fascinating character study, simply presented and wonderfully concise (at a little over 200 pages). It is the story of pretty, selfish, vacuous Kitty Fane, who marries a man she doesn't love and suffers the consequences. Kitty’s husband is Dr. Walter Fane, a bacteriologist posted in Hong Kong. He is a researcher and a highly intelligent man, but shy and socially inept. His love for Kitty is an overwhelming passion that drives him to overlook her flaws and marry her against his better judgment. In Hong Kong, Kitty has an affair with Charles Townsend, assistant colonial secretary and a married man. When Walter finds out, he presents her with a shocking ultimatum – either Townsend must agree to divorce his wife and marry Kitty, or Kitty must accompany Walter to the interior of China (Mei-tan-fu) where a cholera epidemic is raging. Of course, Walter has already sized-up Townsend and knows he will never sacrifice his career. But poor, silly Kitty is taken completely by surprise. In Mei-tan-fu, Walter works day and night among the dying villagers, struggling to control the epidemic. Kitty is desperately unhappy, alone and frightened by Walter’s distance and coldness. She is convinced that he brought her there hoping she would contract cholera and die. She doesn’t see that Walter is just as miserable and probably doesn’t care what happens to either of them. But Kitty is not entirely alone. With the help of the British consul, and the French nuns who care for the orphans and the sick, Kitty begins to grow as a person and to discover some interesting things about her husband and herself. It explains why Walter drives himself but reaps no satisfaction from his good work, and why Kitty’s progress is only incremental in the end. Love of duty has no place for selfishness or self-regard. Contentment comes when you are at peace with yourself and your circumstances. 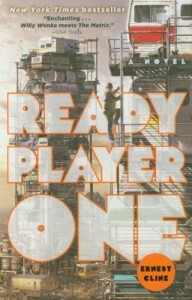 I enjoyed this one more than the previous installment. No, Stephanie hasn't gotten any more competent. And she still hasn't chosen between Morelli and Ranger. 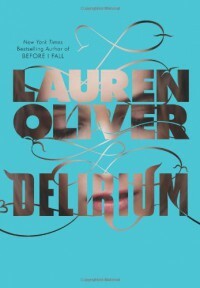 But it was light and entertaining, which is all a "fluff" read really needs to be. To be fair I don't read horror very often, so familiar plot lines and references to well-known stories that may be enjoyable to fans are completely lost on me. 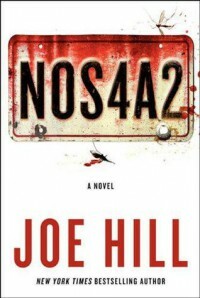 The author, Joe Hill, is apparently the son of Stephen King, which seems to be one reason why this book is getting so much attention. To me, it was far too long (by at least 300 pages) and didn't really deliver much in the end. Bing, the sidekick who dies before the finale, was infinitely more creepy than the supernatural Manx, and the whole story had a kind of comic book feel that made the "horror" seem more silly than terrifying. The book also lost points for crude language and tasteless humor. I originally gave this 2-stars because the opening and premise were interesting, but after all I can't bring myself to give it more than 1-star. 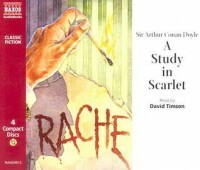 I first read A Study in Scarlet as a teenager. 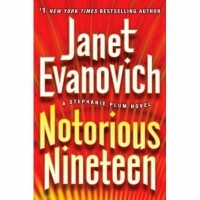 I was a fervent mystery fan and read all the “classic” mystery writers with enjoyment. But Arthur Conan Doyle was a craftsman and a superb storyteller. 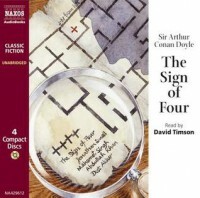 His tales of Holmes and Watson absorbed me, fired my imagination, and gave me hours of entertainment. This time around I opted for the Naxos audiobook version. I’d forgotten how dramatic and fantastic the story was – a tale of revenge and evil Mormons! But the magic was still there, greatly enhanced by David Timson’s reading, which I really can’t recommend highly enough. The Aviator’s Wife is a fictionalized account of the life of Anne Morrow Lindbergh. 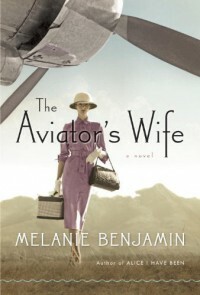 In the author’s notes at the end of the book, Melanie Benjamin explains that her motivation was to tell Anne’s "entire" story and try to understand the nature of her marriage to Charles Lindbergh. 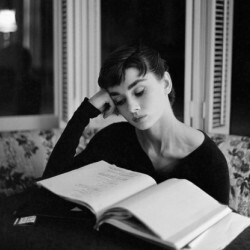 She wanted to make Anne the heroine of her own story, to bring her out from under the shadow of her famous husband so that we, the readers, could appreciate the “truly operatic scale” of her life and marriage. It's difficult for me to judge how much creative license the author may have used; I know very little about the Lindbergh’s. My overall impression, however, is that Benjamin’s interpretation is not totally convincing. I don’t feel that she succeeded in conveying Anne’s thoughts and motivations in a way that adequately explained her behavior. I think all the pieces are there, but not pulled together in a complete characterization. It was also disappointing that the Anne of this story remained overshadowed to the end because she continued to believe that Charles Lindbergh was a man above all others. 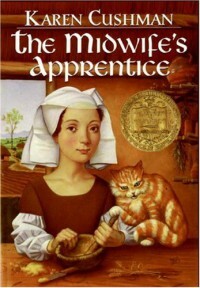 1996 Newbery Medal winner. Nice message about the value of perseverance, but awfully lean overall. In a short piece at the end of the edition I read, Nancy Turner explains that Sarah Agnes Prine was her great-grandmother, and that the book was inspired by the real-life tales she heard of her as a child. 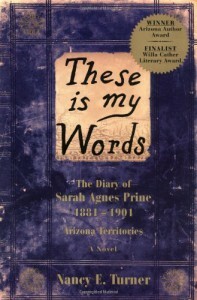 The simple diary format of the book gives insight into Sarah’s thoughts and conveys the feel of life in the Arizona territories. In spare and unsentimental prose, Turner effectively captures the spirit of the pioneer era. I’ve heard many stories about relatives on my husband’s side of the family who lived through those times in similar circumstances. I loved Sarah’s goodness, toughness and indomitability. I loved the romance between her and Jack Elliot. This is the kind of story that draws you in and holds you fast until the end. Perfect for a rainy day when you just want to curl up in a quiet corner and lose yourself in a good book. An unusual coming-of-age story about a girl with an unusual gift. Rose Edelstein can taste emotions in the food she eats - whatever the person who prepared the food feels, and all the way down to the individual ingredients. 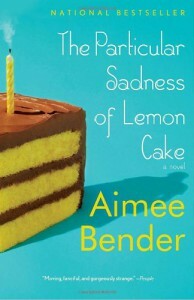 At nine, she discovers her mother’s emptiness and despair in a slice of lemon birthday cake. As her ability develops, she becomes privy to secrets that puzzle and overwhelm her, and for awhile she takes refuge in processed foods that have less contact with human hands. But in the end, of course, Rose must come to terms with her "gift" and learn to accept who she is. Through Rose, Bender examines the intricacy of family relationships and the shock of growing up and realizing that the people you love may be seriously flawed, and that everyone has his/her own personal demons. 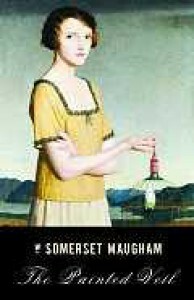 The climax of the book involves the disappearance of Joseph, Rose’s brilliant and anti-social brother. It turns out that Rose is not the only one with a gift. But Joseph’s case is much more extreme and he has no choice but to isolate himself from people as much as possible. In desperation, he works out a way to escape permanently (i.e. into a chair). I know some people feel this part of the book is simply too bizarre, but I think it’s essential to the plot because it opens Rose’s eyes and shows her that she’s unmistakably connected to her family. This is also reinforced through her father’s revelations. It’s really the thread that pulls the whole story together. 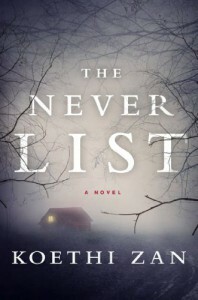 To enjoy this book, I think you have to go into it with no expectations and be willing to follow wherever the story leads. I read it in an afternoon and found myself thinking about Rose for a long time afterward. 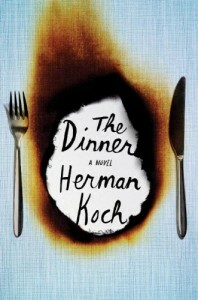 This is actually a decent read, less sensational and more literate than the typical "trash" novel. Grace Metalious tells a compelling story and offers some surprising insights into human nature and small town dynamics. 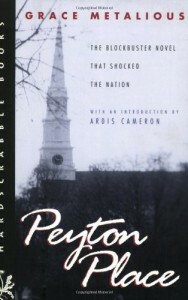 I breezed through this book and the sequel, Return to Peyton Place, over a weekend. Not bad for a book that spawned a notable prime-time TV soap opera. An excellent book. 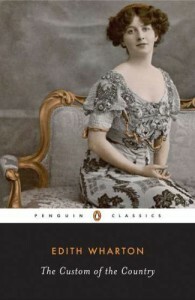 I can see that Edith Wharton and I will be spending a lot more time together. The heroine of the story, Undine Spragg, is a spoiled, shallow, self-centered, conniving social climber. She is supremely unsympathetic, equally as fascinating as she is repellent. Her goal is to position herself within privileged society and she pursues this end with ruthless determination. But as the saying goes, you should be careful what you wish for. Undine finds that marrying into "the right" family or even having access to fabulous sums of money doesn’t bring satisfaction. Her restless, acquisitive nature always drives her to seek more and better. The Custom of the Country is a pointed commentary on the role of women and the acceptable social norms of the time. Wharton shows that Undine is both a product of the prevailing culture and a victim of it. In the context of a society that offers women few choices and values the creation of wealth over all else, her behavior becomes understandable and even pitiable.